Any experienced home inspector will tell you that a home inspection usually goes smoother and is less “painful” when the seller prepares his home for the event. There are numerous simple checks and routine maintenance items that the owner can address around your home to make the home inspection easier. It is not necessary for the seller to “perfect” his home before he sells it. It is accepted real estate practice to “price-in” know problems to the sales price of the home, however, no seller wants to “price-in” minor, routine maintenance and small cosmetic items. With that as background, we recommend that a seller consider the following. The most common buyer concerns center around major structural systems and higher dollar mechanical devices. Buyers tend to be more cosmetically focused and unwilling to consider large outlays for mechanical devices. Major systems tend to include roofs, exterior siding, foundation/basement/crawl space, central heat and air, water heaters, electrical panels and larger electrical and plumbing fixtures. 2. Make normal Maintenance Improvements. These are the items that most inspectors consider to be routine homeowner maintenance items, but he is required to inspect. They are generally inexpensive items that easily allow the seller to make a good first impression with an inspector. Inspectors and Realtors are humans too. The appreciate a pleasant, maintained environment and will feel better about it. a. Clean the roof and gutters. ii. Downspouts should terminate into extensions or onto a splash block. These devices must be aimed away from the home and push water at least four feet away from the foundation. iii. DO NOT pressure wash a roof. b. Trim vegetation from contact with the house. ii. Five feet off of the roof. c. Replace any burned out light bulb. d. Check bathroom caulk and grout and repair if it is cracked or missing. e. Confirm proper basement and crawl space ventilation. f. Professionally service the heating and air conditioning systems and repair as recommended. 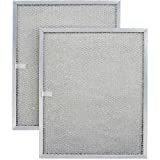 Replace air filters. g. Clean or replace kitchen exhaust fan filter and confirm proper venting. h. Have the home professionally cleaned. 3. Repair small nuisance items. There are small broken items and large broken items. Sellers that do not take care of small repair items risk a longer inspection list which can spook a buyer and create a higher demand for compensation. Look under sinks for minor leaks and repair any noted. Repair broken glass or lost window seals. Secure loose handrails and balcony rails. Repair damaged dry wall and retexture and paint as needed. If you know that you have problematic foundation settlement, this can be construed as trying to hide a fault. Have an engineer evaluate your foundation. 4. Check required safety items. Depending on local codes, certain safety devices are required in most homes. If they do not work, an inspector will comment. Make sure that you have a carbon monoxide detector on each level. 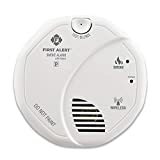 Make sure that there is a smoke detector in each bedroom, each bedroom access hallway, at the top of the stairs and at least one on each level. Ground Fault Circuit Interrupter protected outlets are required at ALL general use outlets in kitchens, bathrooms, garage and at the exterior. Dedicated outlets (refrigerator, built in microwave, etc.) need not be protected. Move flammables out of the garage and away from any flame creating devices. 5. Maintain a good cosmetic appearance. This helps create “curb appeal” and set a good mood for your buyer and inspector. It may seem minor but it can positively effect “time on market” and repair costs. a. Clean up after your pets. c. Maintain the yard. Cut grass, trim bushes and edge. d. Keep the home picked up. e. Clean exterior walls and touch up paint as needed. f. Keep kitchen and bathrooms clean and make sure there is toilet paper. g. Open window coverings to create a bright environment. 6. Prepare for the inspection. Once the home is under contract, immediately take steps to prepare for the inevitable home inspection. a. Remove cats and dogs from the home or place them in a cage. The home inspector has better things to do than keep track of pets. Friendly dogs can bite when Mom and Dad are not home. Cats are escape artists. b. Leave a note for the inspector explaining any unusual situation regarding access to equipment, attic and crawl spaces. c. Clear access to all electric panels, doors, attic access and crawl space access. d. Lay out the heat and air service receipt and any other repair from the previous year or effecting major items. e. If you maintain a file or notebook of manuals and warranties for the major items or builder’s plans, leave them on the kitchen counter. Hey Buddy!, I found this information for you: "Home Seller Listing and Inspection Preparation Checklist". Here is the website link: https://www.explodedhome.com/home-seller-listing-inspection-preparation-checklist/. Thank you.